This is the tenth in a series of reports on initiatives funded through the budget of The Episcopal Church in its grants to Mission Enterprise Zones. Acts 8 Moment also has a series of reports on those receiving Church Planting Grants. Is evangelism something Episcopalians are known for? What kind of reaction do you think you will get when you tell someone you’re going to go door to door to get more people into your church? More recently, you would get a negative reaction. Evangelism is not what we typically do. In fact, it is definitely something we should do. 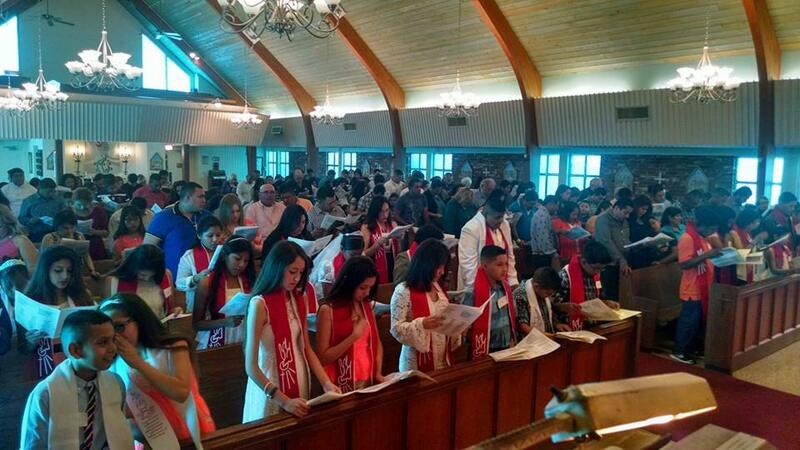 When reaching out to the hispanic community, an important question to ask is, “what can we do for you and your family?” Right now St. Mary’s in Palmetto has a Hispanic Service every Sunday at 1 p.m. In addition, by offering first communion classes, the parents that come with their children end up being confirmed as well. 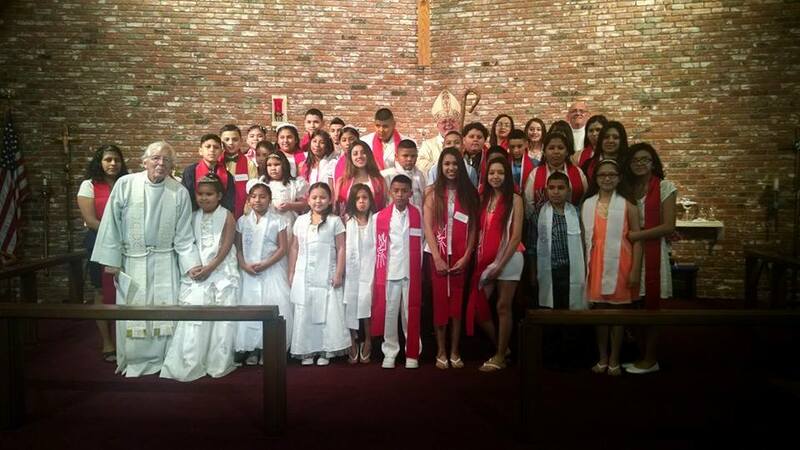 Last easter there were 45 confirmands and last month they had 40 confirmations and nine baptisms. 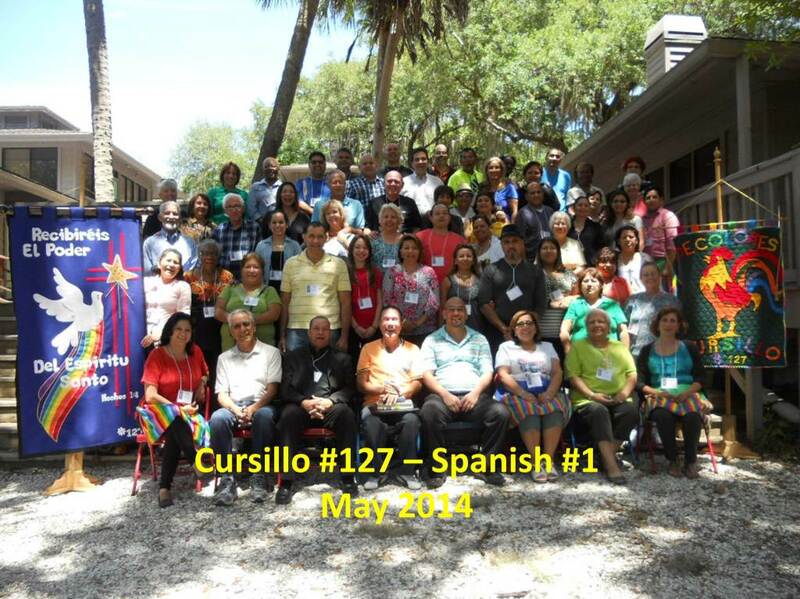 The diocese had their first Spanish Cursillo last spring and it was extremely successful, they already have a waiting list for the next event. After attending a conference on Latino ministry, McManis learned the key to a healthy congregation is lay leaders, and possibly a deacon to go out into the community. He also learned that you don’t necessarily need a Spanish speaking priest as Latinos know the sacramental part of the Mass. Thus, the grant is allowing this diocese to raise up Latino Ministry Leaders. McManis’ vision is to work with the diocese’s seven Lati no worshipping communities which will identify five English speaking and five Spanish speaking potential leaders from each church. Through training and workshops, the plan is to discern the gifts and needs of each church. Then, through their diocesan School for Ministry Development, training will occur for these leaders in the church’s seven canonical areas for licensing lay people. To date they have completed workshops for one church, underwrote the Cursillo, provided training in the use of the Book of Common Prayer and the training of Eucharistic Visitors. McManis noted that just a couple of years ago, the diocese had two Latino congregations and today they have seven and are foreseeing more growth in the future. It is his hope that they can develop Spanish courses for the formation of deacons in the future. The concept arose from Richard Lambert’s doctoral thesis. The only setback McManis spoke of was when Lambert retired, the process was delayed. With this delay very little of the grant has been spent to date, but McManis feels they are well positioned to realize the full capacity of the grant this year. McManis noted how there were so many people interested in volunteering their time and resources that the grant money allows them to explore opportunities for creative programming. This is the fifth in a series of reports on initiatives funded through the budget of The Episcopal Church in its grants to Mission Enterprise Zones. Acts 8 Moment also has a series of reports on those receiving Church Planting Grants. 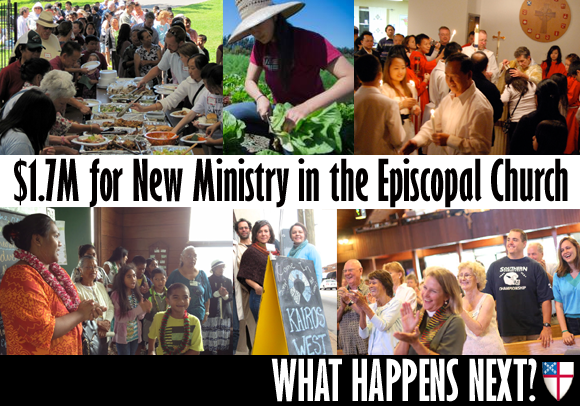 The Pacific Inland Northwest Exchange is a mission exchange program operated as a ministry of the Cathedral of St. John the Evangelist in Spokane supported by the Episcopal Diocese of Spokane. PINE works in partnership with the West Central Episcopal Mission and Between the Ridges on the Yakama Reservation. PINE invites youth groups from within or outside our Diocese to spend a week serving at mission sites in Spokane and the Yakima Valley. Adults accompany those under 18, as young as 10. Groups are placed in sites which match their interest so that the work on the mission can translate into outreach they can continue in their home communities. 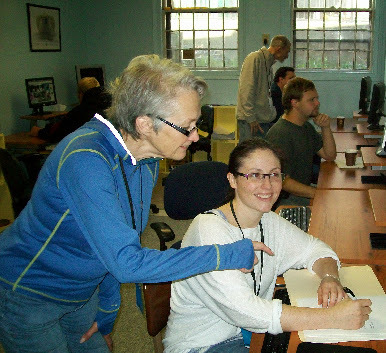 Michelle Klippert, youth minister at the Cathedral of St. John in Spokane, and Tracey Waring, a lay leader at St. Andrew’s in Spokane (Klippert and Waring are pictured at left). The idea for the mission exchange developed out of conversations among youth workers in the Diocese. Meanwhile, the Episcopal Church moved to a model of asset-based community development for ministries. “Looking at the diocese’s assets, the idea of mission trips arose,” Waring said. Between the Ridges, Campbell Farm, the Cathedral, St. Andrew’s and West Central Episcopal Mission decided to create mission opportunities for youth. In 2014, PINE hosted summer mission experiences for middle- and high-school youthgroups from June 23 to July 18 at the West Central Episcopal Mission in Spokane and from July 21 to August 8 in the Yakima Valley. In Spokane, youth started the day at a summer food program based in the West Central Episcopal Mission, formerly Holy Trinity Church. Teens served meals and worked with children. In the afternoon, they worked with Our Place, Project Hope and other agencies to do yard cleanup for West Central Neighbors. 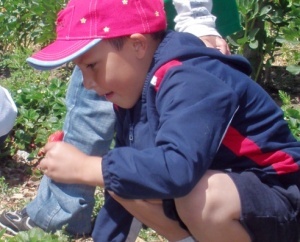 In Yakima, youth worked with Campbell Farm’s summer food program in the morning and at different agencies in the afternoon, such as the food bank, Noah’s Ark and a Yakama Indian Nation yard clean-up program. Late afternoons and early evenings, there was recreation. Every night ended with worship. Participants kept a notebook with responses to questions created to stir theological reflection on what they were doing and why they did it: “Who are my neighbors? Where did I see the face of Christ today?” They also discussed their experiences. Speaking of the value of this program and others like it, Klippert said, “There is power in taking youth out of their home town and showing them poverty somewhere else, where they can see it clearly,” she said. “Once they recognize poverty, it’s hard to ignore it at home.” Michelle said youth return committed to help people in need in their hometown. A mission trip sets the foundation for their engaging in ministry from helping as acolytes to volunteering at a food bank. Part of the mission of PINE in Spokane was to run a Stone Soup Café for 10 weeks, serving breakfast and lunch, and offering a program using “Godly Play,” building Bible stories in Lego, music, crafts and other activities. 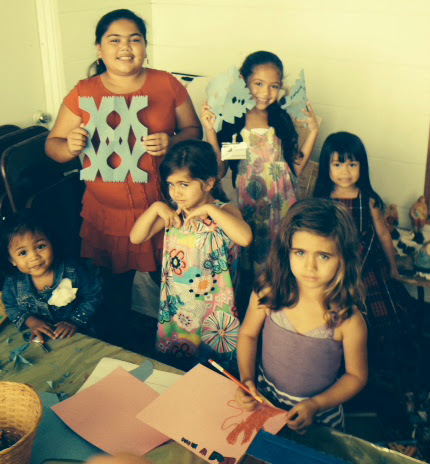 Dixie, a youth participant, learned that many children don’t have access to art and craft supplies at home. “Putting a piece of paper in their hand and watching their creative side fly was the best part of working with PINE,” she said. Over the summer, the Stone Soup Café served 36 three-to-13-year-old children and about 40 teens from Project Hope a total of 4,761 meals. 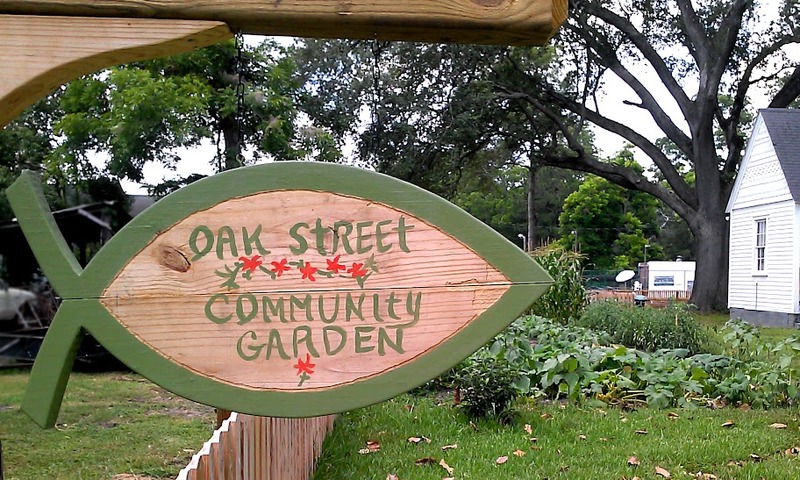 Youth in Project Hope run two urban farms, grow vegetables, mow lawns and sell what they grow in an open market. Children caught “doing good” earned blessing bucks they used to buy ice cream or school supplies for their backpacks. In addition to the $20,000 Mission Enterprise Zone grant, Bishop James Waggoner, Jr., contributed $5,000 and spent time with the children. Each youth paid $300 for the week with these fees raising $3,000. The USDA funded food. About $10,000 is left from the grant, and the diocese now includes PINE in its budget. This is the third in a series of reports on initiatives funded through the budget of The Episcopal Church in its grants to Mission Enterprise Zones. Acts 8 Moment also has a series of reports on those receiving Church Planting Grants. 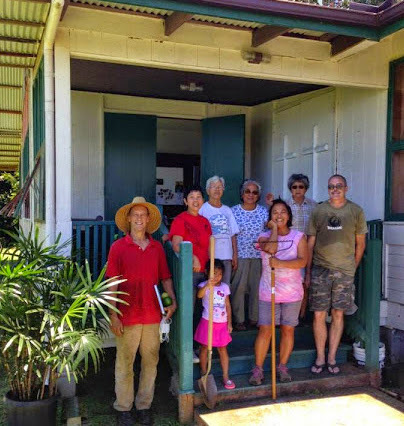 A Mission Enterprise Zone grant from The Episcopal Church is helping with the rebirth of St. Columba’s Episcopal Mission, in Pa’auilo, Hawai’i. 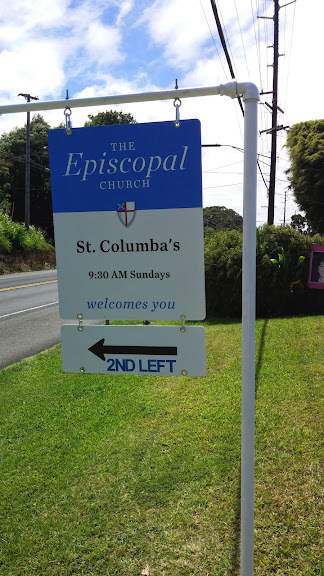 Established in 1898 to serve the owners, managers and workers of the Hamakua Sugar Company, by the 1970s St. Columba’s had become the Filipino Church on the Big island. After the last sugar cane on the Hamakua Coast was harvested in 1996, the mission struggled to keep its doors open. St. Columba’s became a Preaching Station of St. James’ Church, offering a monthly Eucharist for the 8-10 faithful remaining members. In early 2013, St. James’ congregation asked the Rev. Tom Buechele to help the Rev. David Stout, Rector at St. James, “replant” St. Columba’s. Buechele had been serving as an interim priest at Big Island churches, and felt drawn to explore the mission possibility at St. Columba’s. With a missionary spirit and a great deal of demographic research, the replant got underway. On Easter Sunday 2013, St. Columba’s was reborn. They are now using a Mission Enterprise Zone Grant in support of their efforts to attract the growing population along the Hamakua Coast, from Kukuihailae to Honokaa to Laupahoehoe. 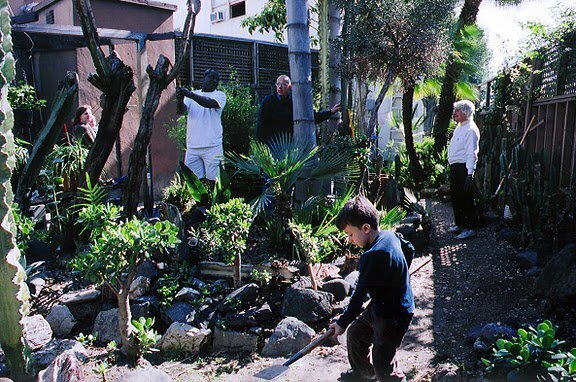 Members of St. James, Waimea, St. Jude, Ocean View, and St. Augustine, Kapa’au helped with the initial replant efforts by making a commitment to walk alongside St. Columba’s Church. Stout notes that the challenge has been providing formation and supervision from a distance. 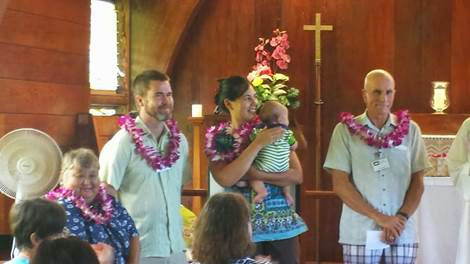 Elizabeth and Steve McPeek, the congregation’s minister of music, having been raised up for ordination to priesthood, will now begin flying to Oahu once a month for classes and formation. A new priest to the Island, the Rev. Diana Akiyama, has agreed to serve as Vicar-in-Charge for the next six months. Elizabeth will continue to live in the house on the St. Columba’s property while providing pastoral care and leading evangelism efforts and outreach to youth. Throughout this time, the membership has been steadily growing. From December 2013 to December 2014, the Average Sunday Attendance (ASA) rose 86% from 23 to 43. Part of that growth has come through on-going attempts to reconnect with families who may have worshiped at St. Columba’s in the past. 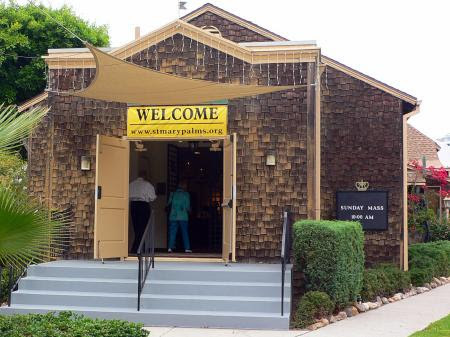 One way they have sought to do this was by offering a Homecoming Sunday, which brought 65 people to worship and, more importantly, rekindled the connection to history, culture, childhood memories, and life events. Many former members who had moved away after the Plantation shut down have begun coming back to St. Columba’s. They are reclaiming their childhood or ancestral spiritual home. With the Plantation property being sold, new people are moving into the area and building homes. St. Columba’s is striving to reach out and attract these newcomers. Many of them are from the mainland or other islands. 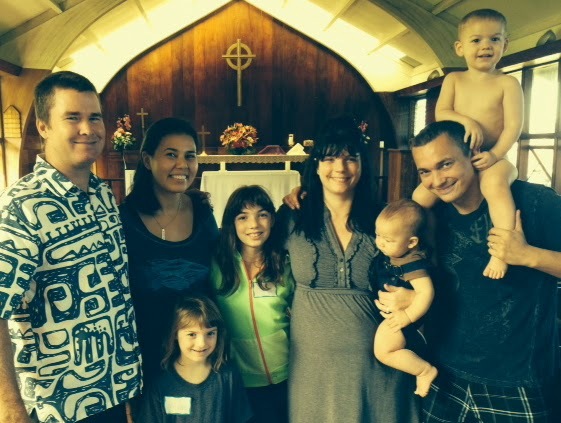 In their very rural part of the Big Island, a significant aspect of St. Columba’s ministry is providing a place of community and connection. 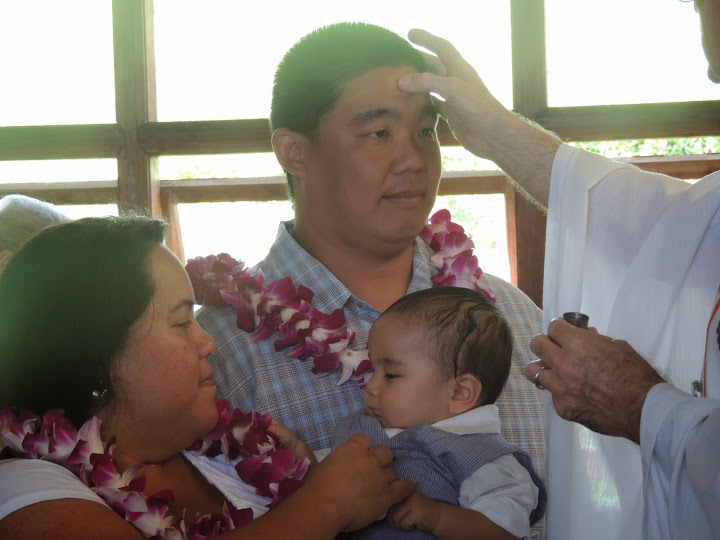 The congregation is multi-denominational, multicultural, multi-generational and includes parishioners who are original families from the Plantation era, Filipino, Japanese, Hawai’ian and Haole (Caucasian). Because of restrictions, the church cannot put a sign on the highway. So, they used their nearby cemetery for a new sign (pictured here). Banners on the church lawn have also added visibility and promoted initiatives, such as the after school program. Early in the replanting process, St. Columba’s did not have infrastructure to provide care for children that might have come. The old church office was refurbished and dedicated as a children’s room. They also placed a glider in the back of the church for a parent with a baby to use during worship. Despite trying several programs and ministries during the week, they have yet to find one that really attracts participation. They have offered a children’s Bible class and a trained Godly Play storyteller on Wednesdays, a healing service on Wednesdays, Morning Prayer on Mondays, and organized a grounds & planting and a cleaning day. 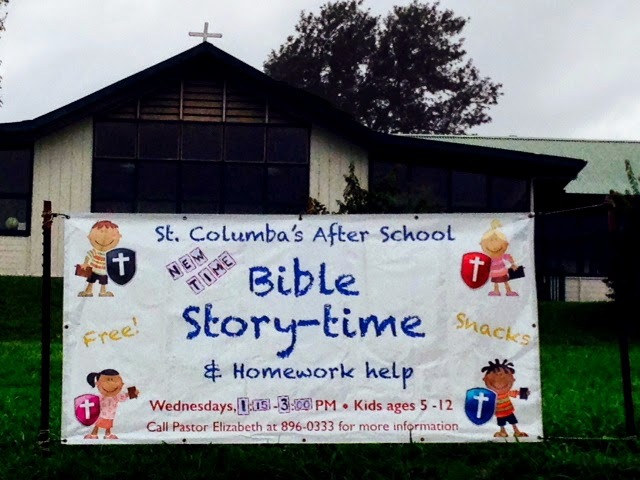 St. Columba’s is especially struggling to find a children’s program offering that works. 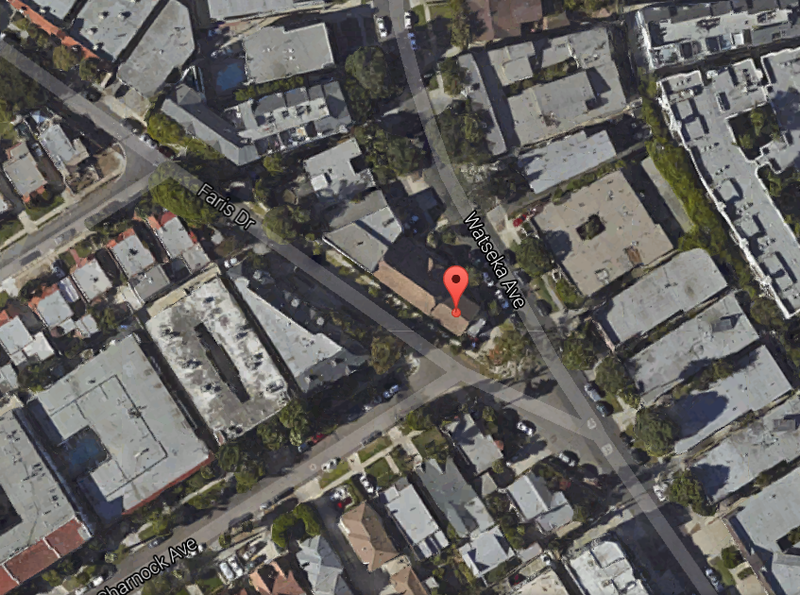 The church is directly down the hill from the elementary school, yet so far no programs have been effective. They have talked to parents in the community and discovered that one issue is that many children are cared for by their grandparents. Many grandparents (and some parents) don’t have cars, and those that do are using them for work. A recent study in the Church of England revealed that congregations that have a continual pastoral presence in the congregation and community, as opposed to a different person each Sunday, are more likely to grow. St. Columba’s has been intentional in providing pastoral support for local families at risk, spending time visiting individuals and families in the congregation and newcomers in their homes. Pastoral care for the sick and acute/long term hospital care, bringing the Eucharist to home and hospital bound, praying, getting to know family members who work in the community—these are credited with being a part of the growth the congregation has experienced. The church baptized four persons in 2014 and one more will be baptized this month. St. Columba’s officially welcomed seven new members this past year. To assist in incorporation of new members, they have designated several “Welcome Sundays” with a liturgy welcoming new members and marking this important decision. While difficulties remain in connecting to children during the week, St. Columba’s has worked hard to incorporate the children they do have into Sunday worship. Children collect the offering almost every week, carry the cross, and bring the food offering forward (food items collected are given to Annunciation Roman Catholic Church Food Pantry in Waimea). Children ring the bell at the start at worship, and they have recently started using a child lector. 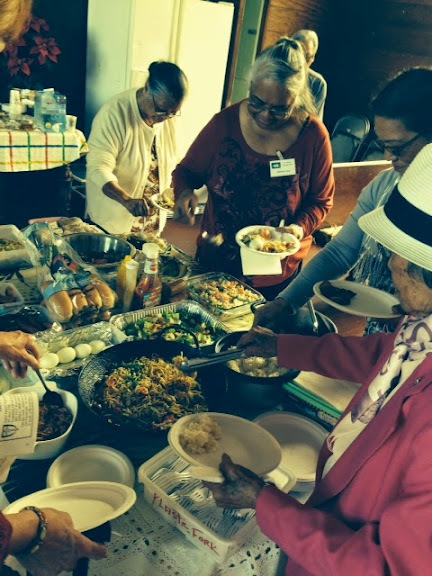 A potluck immediately following worship has become a key opportunity for connection. The food provided is reflective of their ethnically diverse population. Lewin says, “It is a joyous, delicious time for fellowship and hospitality feeding the body and the spirit.” The are trying to help people from different backgrounds get to one another. One way they do that is by encouraging people to sit together, mix and recently they asked people to sit with someone they do not know. The best source of evangelism has been by word of mouth, going out into the community and building relationships through “talk story” and an open invitation to come for worship and and stay for the potluck. Parishioners have evangelized in Honaka’a, Christmas caroling with townspeople on First Friday. They distributed leaflets and post cards telling about programs.